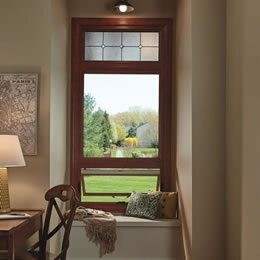 Trust the Gravina’s name for your awning windows! Similar to casement windows, awnings allow air to flow in at an ideal angle, bringing a light breeze rather than a gust. The difference? Awnings hinge at the top edge, rather than the side. Like casement windows, these windows offer maximum performance against air leakage, making them energy efficient and budget-reducing. Our certified consultants will show you different designs from many different manufacturers so that you can choose the best windows for the price that fits your budget.